To give an opinion on diet pills, in general, is very difficult, as there are many different types of diet pills available on the market today. Generally speaking though, most weight loss products that you will find in supermarkets and supplement stores contain large amounts of caffeine and natural or synthetic products. These types of diet pills can also be very expensive. Thankfully a lot of the more harmful substances such as the ephedrine, which was commonly used amongst body builders and dieters, are now banned from off-the-shelf products. However due to this, the most potent and most effective products that were used in diet pills are now unavailable without a prescription, which makes current off-the-shelf products less effective. What’s worse is these off-the-shelf products often aren’t regulated or clinically tested for effectiveness before being made available to consumers. So you may be putting your health at risk, or paying top dollar for a product that just doesn’t work. The other type of diet pill is only available through your doctor, as these contain more potent ingredients that can have severe side effects on some individuals. These side effects can include, increased risk of heart attack and cardiac arrest, especially among people who already suffer from high blood pressure, irregular heartbeat or heart disease. Minor side effects include constipation, headache, dry mouth, insomnia, cramping, gas and diarrhoea. The forms of diet pills available via a doctor have generally been clinically tested and proven to increase weight loss for a small window of time. This is usually until your body gets used to them, then you will have to follow a healthy eating and exercise program as it’s unhealthy for anyone to use these products long-term and your results will eventually plateau. In my experience the most effective way to lose body fat and increase your health and energy levels, is to follow a healthy calorie controlled diet that is low in sugar and rich in vegetables, high fibre carbohydrates, fruits, nuts, seeds, protein and to drink at least two litres of water per day. Pair this with two to four strength training sessions per week and 30 to 60 minutes of moderate intensity cardio workout. And, drink at least two litres of water each day. There is no magic pill that will give you the body you’re after, only hard work and good nutrition will get you to where you truly want to be. As a fitness expert, Kris is always looking for ways to help more people live a healthier life. 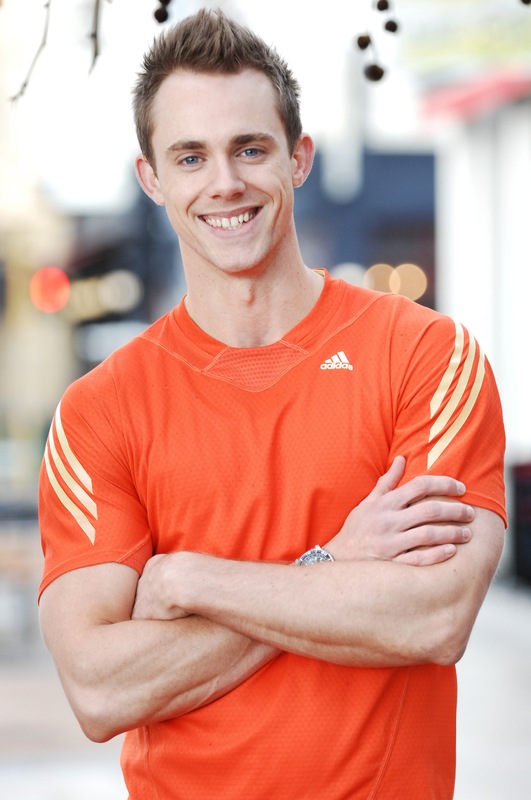 He is a certified personal trainer, sports movement, strength conditioning and, balance and agility trainer, and he has just opened his own studio in Toorak, Victoria. This exclusive private studio specialises in weight loss and has all the latest equipment and facilities, and is for one-on-one training only. Diet pills don’t work. Despite knowing how to lose weight, by eat less and exercise more, Australians spent $790 million on weight loss products, potions, plans and procedures in 2011, and you can be sure a fair chunk of that figure went on diet pills. Wow, with this type of expenditure you’d think we’d be getting smaller, right? Wrong. Not only are we one of the fattest nations in the world, we’re getting fatter much faster than anyone else in the world. Our rates of obesity are skyrocketing in direct proportion to our weight loss knowledge. Diet pills aren’t helping to solve our obesity problem. Instead, they’re contributing to it by trapping people in a vicious yo-yo cycle. Lose weight. Gain it all back, plus more. Then repeat the cycle all over again. Over the past ten years, no new weight loss drug that’s hit the market has remained on shelves. Most end up being withdrawn, due to their nasty side effects and empty promises. Given this, what do you think about the effectiveness of pill popping as a weight loss strategy now? Aside from the plain fact that they don’t work, diet pills also have a negative psychological impact. They encourage you to abdicate your sense of responsibility. If you haven’t lost weight, you can just blame the pills. Any kind of weight loss ‘quick-fix’, whether it’s diet pills, diet plans or twelve-week programs, makes you hand over control of your weight loss to someone or something else, and that means you’re never going to develop the motivation and the mastery you need to successfully lose weight and keep it off for good. Exercising regularly and choosing high protein, low GI foods will help keep you fuller for longer. Choosing foods such as cinnamon and green tea will help slow the rate at which sugar is absorbed into your bloodstream. Doing regular weight-bearing exercise to increase your lean muscle mass speeds up your metabolism. 1 kg of muscle requires 3 times as many calories to exist than 1 kg of fat. In fact, a recent study by the Southern Illinois University confirmed that overweight people who did resistance training a mere 33-minutes in an entire week increased the amount of energy they burnt by 127 calories a day. Diet pills aren’t the answer. They’re an unnatural short-term weight loss solution, and they’re not going to help you take control of your weight loss and get lasting results. It’s your body and your health, and the only way you can improve either of them is by making long-term, sustainable, enjoyable changes to your habits and lifestyle – not by popping pills. 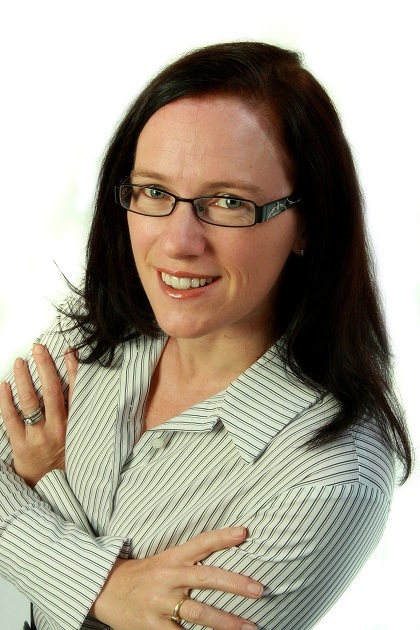 Sally Symonds holds a certificate III and IV in fitness, is a certified wellness coach, and a NLP practitioner. She holds a Masters and Bachelors degree in Arts, and an Associate and Licentiate in Speech and Drama. Having lost over 50 percent of her body weight, Sally Symonds is the author of 50 steps to lose 50kg… And Keep It Off and 50+ Recipes to Lose 50+kg… And Keep It Off and more than 20 other ebooks. Sally offers phone and online weight loss coaching, as well as a variety of other healthy living services and products. For some, I appreciate that it may be difficult to resist the temptation of an advertisement on TV or a flashy pop-up on your Internet screen that promises this magic diet pill will strip off a minimum of 1 kg per week without a strict diet or exercise. Unfortunately, what many of these supplement companies will not disclose are the physical side-effects that your body will endure. 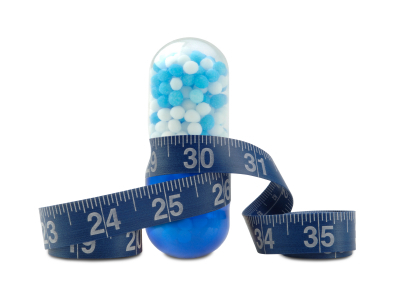 One popular weight loss pill is Orlistat (Xenical) which is used widely as a fat blocker. Other pills will contain different ingredients and their side-effects will vary. Let’s take a look at the side-effects of Xenical. oily or fatty stools (including spotting). stomach upsets including vomiting and nausea. The list goes on and on, but I think you get the point. One takeaway message is never be too far away from the toilet. Diet pills will often disrupt the body’s metabolism and ability to absorb some of the vitamins and nutrients from the food you consume. This being the case, GPs may also recommend you take a multi-vitamin or supplementation to counter the diet pills impact of your internal system. There are also hidden dangers with this method of losing weight as well. One of the biggest dangers in consuming any form of supplementation, including diet pills, is creating an emotional dependence towards pills and other forms of oral supplementation. What people may experience is that they create a new belief for themselves that if they don’t take their pills then they won’t get results. These beliefs will create new behaviours and attitudes that may not necessarily be aligned with empowering them with healthy eating and exercise strategies for success. My philosophy is as follows, our body can receive everything it requires to create a state of homoeostasis – fancy word for your body is running like a well-oiled machine – by eating a balanced diet of whole nutritious foods and minimal processed foods. Throw in a minimum of three exercise sessions per week to accelerate health and fitness results. If you are reading this article and are still considering a diet pill to lose some weight, then let me ask you a couple of questions. 1. How long do you think your body can last, especially your liver and digestive health, whilst taking diet pills long-term. 2. Think of three alternatives to taking diet pills that you haven’t attempted yet that will potentially help you lose weight. Give those a go first. Is there a time when diet pills are okay? I think everything has its place and for someone in a position whose quality of life is compromised due to morbid obesity, then diet pills under strict supervision from a health professional (including mental health) may prove successful for a short period of time to kick-start weight loss. Matt Skate is a life coach and personal trainer. He served in the Australian Army for 19 years as a physical training instructor and then started Weight to Life in 2011. Matt assists people to lose weight and create a healthier lifestyle by helping them break through their negative beliefs, behaviours, and expectations. 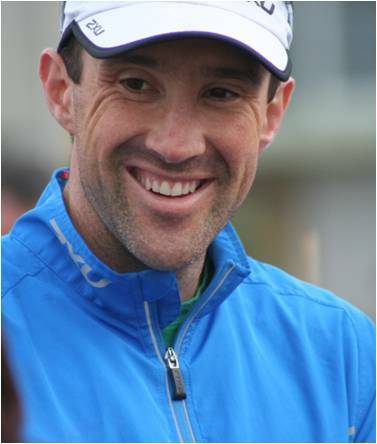 He loves to train in all forms and at all levels of fitness and was crowned the QLD Marathon champion in 2008. This is an interesting topic, and although it seems like common sense to most people to avoid these diet pills, you can see why people reach for it so easily. Modern society has evolved a reactive mentality when it comes to health. We live our lives carelessly and do things that we know are not good for our health. We smoke, drink soft drinks, eat donuts, and do not exercise. But, because we don’t see, in most cases, an instant consequence to our actions then we think we can get away with it. However, it fair to say that if you’d been doing regular exercise regularly, especially weight training, core exercises, watching your weight by eating good quality food and improving your balance, then your knee would have most likely avoided the injury in the first place. The old saying, “Prevention is better than a cure,” is so true, but often forgotten, and at times, completely thrown out the window. We all know that obesity, diabetes and heart disease are significantly on the rise and that all of these illnesses are associated with poor nutrition and exercise choices. So, it is no surprise that the “quick fix” of a diet pill is also steadily on the rise. Again we all know that if we adopted a healthier lifestyle there would be no need for “quick fix” because there would be nothing to fix. Secondary to all of this, and this really baffles me, is that there is often side effects to these pills and in some cases the side effects are bigger problems than the original issue. We regularly see this with medicine, and in some cases it is quite necessary. Especially, when we are talking life and death. But, in most weight cases, the risk of using diet pills far outweighs the benefits. It makes no sense to eat poor food choices, skip meals, not exercise correctly and do all the things that we all know are not going to improve our waistlines, and then take a pill to get our desired results. Even if you do get down to a healthy weight using diet pills, it will come a cost to you later in life. So my thoughts on Diet Pills are DO NOT take them. Instead, speak to a nutritionist, personal trainer or even someone who you know and trust who is healthy and where you want to be. These people will have the real answers you are looking for. Keep away from junk food. It’s Addictive. Junk food has no nutritional value and can affect your brain in ways similar to drug abuse. Don’t go too long without eating and definitely don’t skip meals. Long stretches without food make people crave sugary snacks, which can make healthy choices difficult. Eat a good breakfast. A protein-rich breakfast leaves you less hungry for the rest of the day. Eat more fresh foods and less processed foods. Favouring whole fresh foods like vegetables over processed ones will pay huge dividends. Watch your meal portions. By using smaller plates or keeping seconds out of immediate reach, can help you lose weight. The psychological impact of diet pills. In addition to the physical implications of taking diet pills, the potential psychological consequences should also be considered. For most people, the necessary loss of weight results in feelings of happiness and increased confidence from working towards a weight goal. However if this is not carefully monitored from a medical perspective, things can soon get out of hand. One of the more concerning is psychological addiction to diet pills. Unhealthy weight gain can occur for a multitude of reasons – hormonal, inactivity, over-consumption of calories, and social and psychological factors. For some people, insufficient physical activity and an unhealthy diet may be in response to coping with some form of stressor for the individual. A loss of job, relationship break up, and depression are all reasons why people may turn to the pantry and the couch for solace. So when resolving to lose weight, the person may include diet pills as part of their strategy. Diet pills also feature prominently as a weight loss strategy for those with eating disorders, such as anorexia and bulimia nervosa. If the person experiences success with the diet aids, a psychological dependence can soon develop. Diet pills do not keep you under control over the long term; they can be addictive, and potentially very dangerous. Most of these products act as a stimulant to the central nervous system, with common side effects including mood swings, chest pain, and tremors. More serious reactions may include increased anxiety, hallucinations, insomnia and cardiac arrest. This can be serious, even fatal. When addiction occurs, treatment from a trained professional is necessary for recovery. Part of the treatment will be in uncovering what is being masked by the use of the pills. Healthier and more productive means of coping will need to be taught. When seeking treatment you should source an appropriately registered professional, such as a psychiatrist, psychologist or social worker. It would also be advisable to ensure the person has sufficient expertise and experience in working with weight-related issues. A multi-disciplinary team that includes the mental health professional, a dietician and your GP will enhance your likelihood of success. 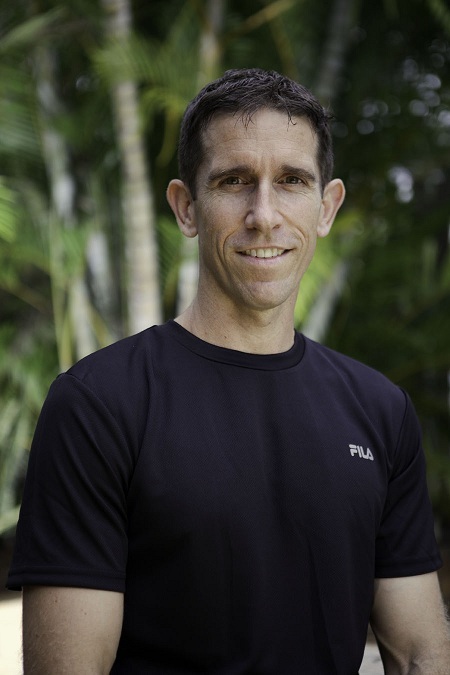 Dr Lukins is a psychologist who has specialised in sport and performance psychology for over 20 years. During that time, Dr Lukins has consulted individuals, teams, coaches, and organisations across the country. She is committed to the field of positive psychology — a scientific framework that studies human potential and happiness. The primary focus of her work is to assist clients to find strategies to achieve their goals and reach their potential. Joann’s work helps clients to understand what makes them be healthy, fulfilled and focussed on their personal well-being. I’ve tried a lot of these and cannot say that any work. In fact, I believe that it is not the pill that helps you to lose weight, but your mindset. If you don’t believe in yourself and that you can lose weight, then you will remain the same size. Very touching. Your work is inspirational. I’m not a fan of these little beauties. I’d rather eat well and exercise, than hope some pill helps me to control my weight. Great section of content. I enjoyed your article. I am not a fan of diet pills, but I couldn’t keep up with strict dieting and exercise so I gave one pill a try. I was told that if you know how to take them, then you won’t have to experience any side effects. Found it just right. Been on Prescopodene for 2 months and it never fails to amaze every time I do my weight in. I’m planning to take diet pills but I don’t which to buy. I’ve read different reviews but I want to research more. Can you tell me if this Prescopodene really brings effect to the body? I’ve visited the site but I want to know more to be sure.. Any tip would be great. Prescopodene is a thermogeneic pill. This means that you’ll need to exercise for it to effectively work. If you are planning to eat well and exercise, then this medication may help you to acheive results quicker. But, if you are planning just to take this medication and not really worry about your eating habits or exercising, then you’ll be wasting your money. Weight loss pills only work in conjunction with a healthy eating and an exercise plan. simply because their subconscious mind is doing all of the hard work. I have never used diet pills myself. They kind of scare me, after what I have read. I found this article very informative, thanks. I will be back, great site! and will be tweeting this to my followers! Fantastic blog and outstanding design. Howdy! I am not one to use diet pills. I think they are a load of. I much prefer looking after myself and eating right. This way I know what is going into my body and I can ensure I am staying healthy. It would be great if you could write a feature on this and actually interview people who use these pills. I would like to see how they have rated them and if they acutally work or not. Just a thought. Keep up the excellent work. Love, love, love your site.